Great build quality and simple design. No frills, classic tone and great quality. 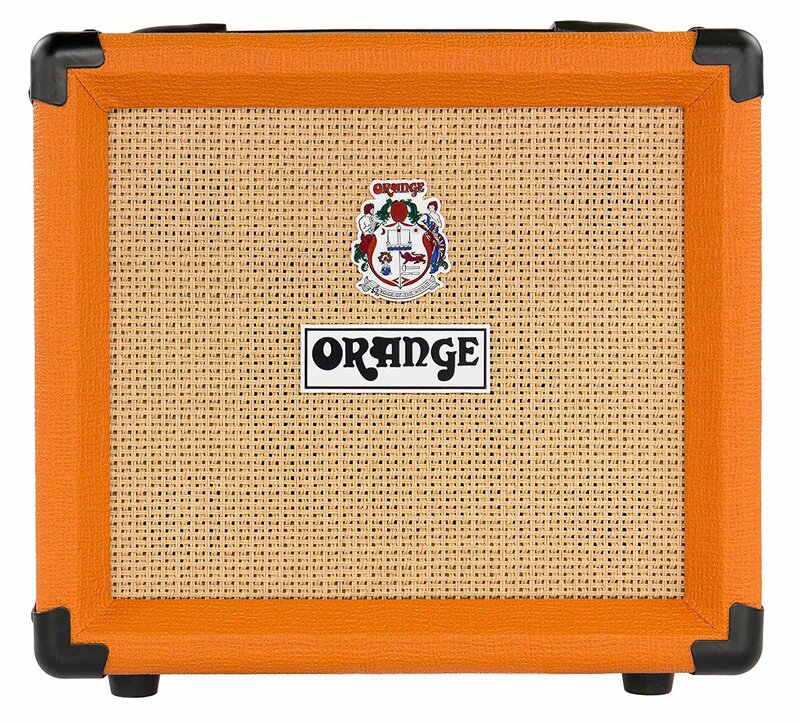 range amps are probably the most distinctive amp on the market. Some other brands may have more mass market exposure, but few have the “WOW” factor of the Orange casing, fronted with vintage looking basket weave. 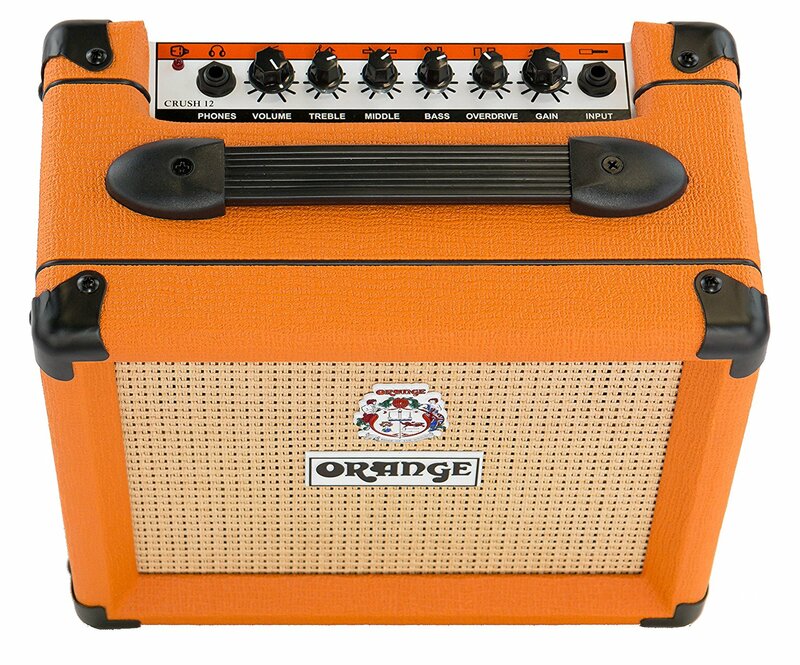 The Orange Crush range provides affordable solid state practice amps. 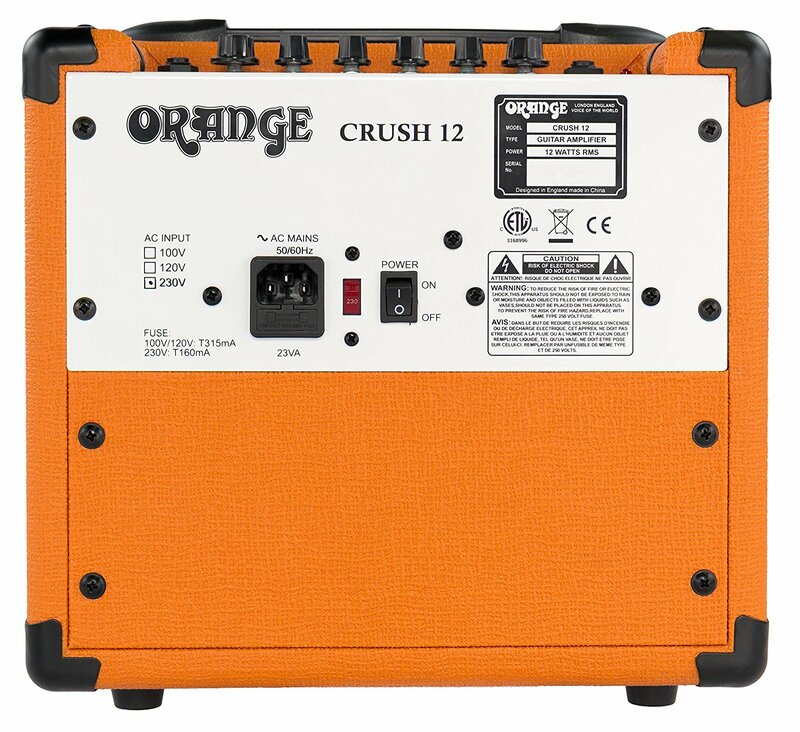 The Orange Crush Pix CR12L is a 12 watt combo that offers a single channel, with a unique multiple gain control. All packaged up in Orange’s distinctive look and feel. There’s not much that needs explaining in the list of features in this amp, other than the dual gain controls. Overdrive will push the tone to break it up a little, great for crunch tones and when you need more than a straight clean tone. Gain is just pure distortion. Dial it up for rock and metal. I found both to work great, very similar to a Marshall gain tone in my opinion. The 3 band EQ is great in finding the right tone for your needs, and I had fun getting some interesting clean tones. By experimenting with the controls on the amp and the tone controls on my guitar, I could get a big range of tones. 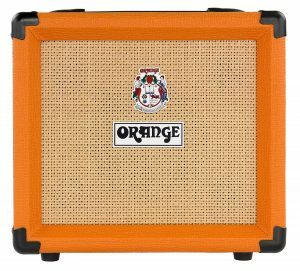 Adding a reverb pedal, or a chorus pedal (see our post on the best chorus pedals) would provide a really solid clean tone amp. 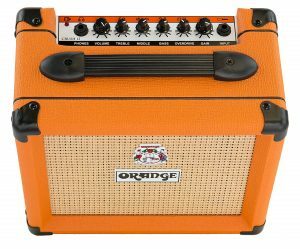 Many people claim that this is impressively loud for a 12 watt amp, and they’re right. I’m not sure whether it’s the design of the casing, the way the circuitry drives the 6″ speaker or something magic – but the volume from this little box is pretty remarkable. 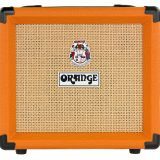 Orange amps are classic, sturdy and high quality. 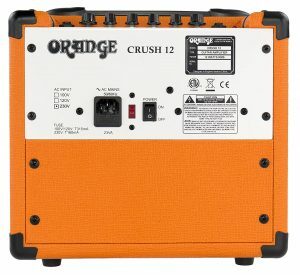 The Orange Crush Pix CR12L brings all these virtues in an affordable package. Simple design, easy controls and a surprisingly loud output makes it a real contender in this market.